There’s a strong correlation between how much sleep you get and how stressed you are. It’s a vicious cycle that can cause mental distress and even wreak havoc on your physical well-being. It’s a well-known fact that people who don’t get enough sleep are lethargic and constantly experiencing an energy slump. This causes irritability, which also makes it hard to fall asleep. The reverse is also true. When you experience an exorbitant amount of stress during the day, it causes you to lie there awake – and that piles on more stress for the upcoming day. The Huffington Post conducted a poll recently where they asked people what their #1 stressor was. Lack of sleep was one thing that dominated the results. Stress and a lack of sleep combined can cause you to lose mental clarity and they can put more pressure on your body to perform at less than optimal standards. 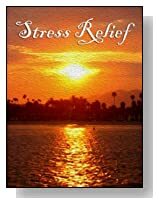 So it’s vital that you learn how to implement stress relief measures that also work to lull you to sleep at night. When you wake up fully refreshed, you’ll be able to tackle the world and anything it throws at you! If you want to toss and turn and have trouble getting (or staying) awake, just keep your cell phone right by your bed. For some of you, that won’t be a problem – but for many people, it’s become an addiction that disrupts their sleep routine and causes a lack of sleep. Some people have their computer right beside the bed and the glow of it lights up the room at night. Ditto for notifications that come in on cell phones – sometimes with lights and sometimes with the inclusion of sounds. Not only is it a physical factor, but it causes a certain amount of mental unrest when you’re constantly checking emails or looking to see who posted what on Facebook. The physical distraction of the computer glow tricks your body into thinking it’s time for you to be awake. Your body won’t produce the melatonin it needs and help you get (and stay) asleep, so you toss and turn all night. Technology doesn’t just have to be left out of the bedroom – it needs to be shut down quite awhile before you go to bed. Your mind needs time to disconnect and wind down itself, and it can’t do that if you’re constantly feeding it information. If you go to bed at 10 PM, try disconnecting around 8:30 PMM. Let your stress melt away and your mind relax. This isn’t an easy habit to break, but you’ll be able to implement it – even if you do it in baby steps, such as not taking it in the room with you, but using it right up until bedtime, and gradually creating a routine that’s beneficial for your health. 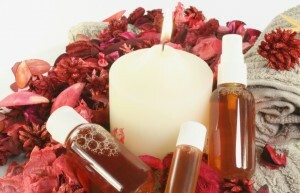 Aromatherapy soothes your mind and body for both sleep and de-stressing. Scents are a powerful element of our lives, and you can use the power of it to help you feel more rested. Start off by choosing the right scents for you to unwind, let go of the anxiety the day brought, and get a good night’s sleep. You don’t want anything invigorating for bedtime – like peppermint. That’s a scent that’s perfect to help you start your day – not end it. 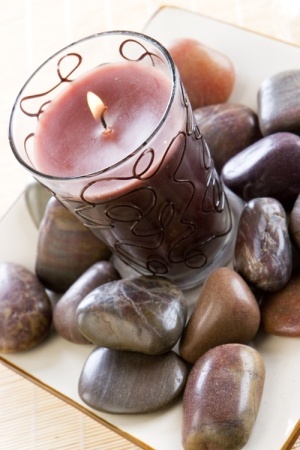 You want to look for scents that soothe and relax. 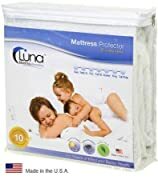 What’s the best way to use these to unwind and get better sleep? You have many options when it comes to aromatherapy. You can find scented bath products (if you enjoy a bath before bed). You can use candles, diffusers, wall plugins and more. 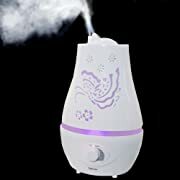 Some people like to create or buy a special mist that they can spray on their pillows at night (or put on their wrists) before bed. It sounds almost backwards – putting forth extra exertion when you really need to be relaxing and calming down. But that’s just what exercise does for you! Exercise is a great stress reliever because it helps you release endorphins. That’s why you sometimes hear of athlete’s bragging about their “runner’s high” – because although they may start out fatigued, they hit a point in their regimen where the endorphins are released and they feel good. Feeling good is one of the first steps to you being able to sleep well tonight! Your body has probably been tensed and knotted up all day while you were at work. Allowing it to exercise gives you some relief – somewhere to pour all of that tension into. Exercise also helps you sleep better at night. We joke as parents about letting our kids wear themselves out so they’re ready for a good, long nap – but the same goes for us as adults! When the Huffington post conducted a poll for people who exercise in terms of how they sleep, they discovered that people who exercise don’t just get more sleep – they get better sleep. As you might suspect, the harder you work out, the harder you snooze each night! If you’re not used to exercising, start out slow and work your way up. You can start off with a simple 10-minute-a-day plan and increase it a bit each week. The side effect of exercising to get better sleep and stress less is that you might shed pounds if you’re overweight! Poor sleep makes people gain weight according to recent studies – and stress is a definite factor in consuming too many calories. Try to exercise after work – plenty of time before bed, but in the evening. For some people, bath time is their only time of the day when they unwind and kick stress to the curb. There are no clocks ticking, no technology vying for your attention, and nobody talking to you. It’s just you, your warm, soothing water, and whatever environment you’ve created to help you relax. The environment for your bath meditation is just as important as the sleeping environment you create. If it’s off, then you can’t relax. A cold, sterile bathroom won’t lend itself to a calming environment. You can use bath meditation whether you have a 10-minute bath or an hour-long bath. 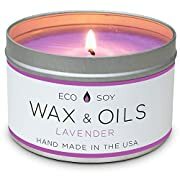 Some people like to incorporate aromatherapy during their bath meditation – and you can find candles or bubble bath that soothes you with lavender or chamomile or any other scent that calms, rather than invigorates you. Music is another option for you to consider. You can choose soft, relaxing music – or even invest in some sort of guided imagery CDs that will walk you through a visualization process that helps you meditate while in the bath. Just as you’ve made the commitment to turn off technology at bedtime, do the same for your bath time, too. You can’t really relax and meditate if your smart phone is ringing off the hook. Make sure that when you ease yourself into your bath, you start to get familiar with how you’re breathing. Most people go through each day using shallow breathing, and it’s deep breathing that cleanses the stress from your body and helps you sleep better. Let your mind wash away all of troubles and irritation of the day – picture it washing out to sea – and replace it with whatever the senses are experiencing at that very moment - the warmth of the water, the tranquil sounds, and the feeling of being unrestricted by ties or hosiery. Everyone’s different with how they meditate. Some like the guided imagery, while others want to have nothing to think about. Some like to use a mantra they can repeat throughout the meditation process. 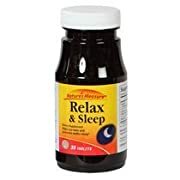 See what works best for you and then use that as your staple for better sleep and less stress. Time is one thing we need more of and have less of in this day and age. We have no time to relax. We push ourselves from the time our feet hit the floor in the morning right up until we go to bed – and we never get to bed on time. Instead, we give ourselves a minimal amount of sleep hours – and much of that is spent tossing and turning due to the stress of what all we couldn’t accomplish in the day. If you’ll get firm with yourself and look at how much time you waste during the day, or how much time you’re not as productive as you should be, then you’ll free up more time for sleep. Many of you will learn new time management skills and forget to learn your lesson about sleep. Instead, you’ll pack in more on your to-do list. Keep a diary or journal of your daily routine. Notice all the times when you’re surfing the web or standing around chatting with co-workers. That’s time that you could be spending really accomplishing things so that once your day is done, you are rewarded with free time – “me time” – to pamper and nurture your body and mind. You might also find that when you implement the other rules here, along with proper sleep hygiene, you’ll be able to get more done throughout the day. That’s because your mental clarity improves and you tend to have more energy to tackle whatever the day may bring. There are some people who get in the habit of taking a daily nap – primarily because they’ve heard that power napping can help them achieve their goals for the day. This might be true for many people. But if sleep eludes you, then naps could be causing the problem. A 10-minute power nap where you’re basically just shutting your eyes and deep breathing is beneficial. Going to bed for 2-4 hours in the middle of the day is a recipe for disaster. You’ll never be able to go to bed at a regular bedtime and you’ll lie there frustrated and annoyed that you can’t go to sleep. Try using deep breathing to energize yourself whenever you’re in an afternoon slump. Breathe from your diaphragm and try to watch how often you’re using shallow breaths throughout the day. Foods are one area where what you eat can benefit or damage both your sleep and stress levels. If you want to alleviate stress and get better sleep, you need to limit or avoid alcohol and caffeine and eat foods that will help with both! That means eating good protein like turkey or lean chicken, salmon, avocados, nuts like almonds or walnuts, and apricots (which soothe your muscles). Regular meals are key, too. You want your blood sugar levels stabilized so that you don’t have to deal with mood swings and energy highs and lows. A lot of times, insomnia or poor sleep is the result of a lack of knowledge or understanding of how stress and other issues affect your ability to relax your body and calm down your mind. 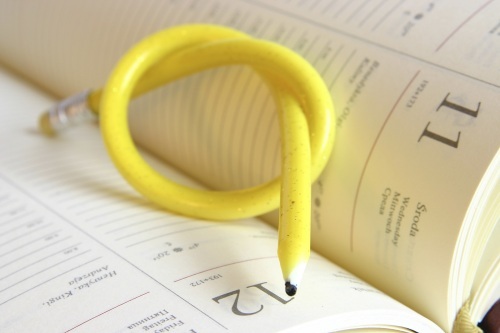 There is a lot of power and relief that comes from learning about various topics. You’ll be surprised about how much a little research can help you with sleep stress management. 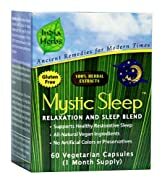 There are plenty of natural home remedies and alternative therapies to help you sleep better and learn simple techniques and methods for sleep stress management. 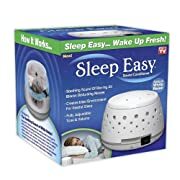 This online guide has plenty of valuable tips you can implement immediately to help you sleep better tonight, but if you need more help than this just check out some of the products and expert sleep guides that you can get online here and have conveniently delivered to your home. When you buy from these links you will often save money as well on the usual retail prices from the stores. Not getting enough sleep because you have insomnia can be wreak havoc on your health. Not only that, but it can cause you to have trouble concentrating at work, put you at higher risk of having some type of accident and it can lead to memory loss. When you have insomnia - especially if your insomnia is chronic - you’ll want to do whatever you can to treat it so that you can get back to sleeping well at night. There are plenty of options available for you - ranging from the natural to traditional methods. As your home settles in for the night, it will make noise. There will be creaks. You might hear the refrigerator kick on and hum. Same thing with your heating or air conditioning system. If you have pets, they can keep you awake by moving around in another room, by the sound of their feet on tile or hardwood flooring. You might hear them lapping water or growling in their sleep. These things can jar you from sleep - even if you’re not a light sleeper. 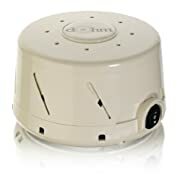 Having a white noise machine can help drown out the sounds that occur in the night that wake you up and prevent you from getting back to sleep. White noise consists of sounds, too - but these sounds each occur at a different frequency. 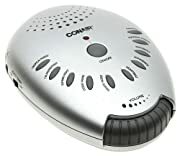 When you use a white noise machine, you’re not actually hearing these frequencies because your hearing range isn’t able to tell each of these signals from the other. What the machine does is it covers up or takes in any of the regular noises that you hear at night that might prevent you from falling asleep. 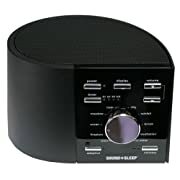 Not only does it cover up sounds that keep you awake, but the sound that the machine does produce is very tranquil. It helps you feel drowsy. The reason that this type of noise works is that you can’t really figure out what it is that you’re hearing because of the frequency. So because of that, your mind doesn’t focus on it the way that it would with the sound of a dog drinking water or a refrigerator humming when the motor comes on. 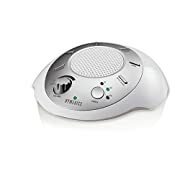 A white noise machine is not only recommended to people with insomnia, but it’s also recommended for people who have a medical condition, like tinnitus, which keeps them from falling asleep. 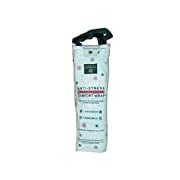 You can find these machines in models that will only give off a plain white noise. Some of these machines, however, do have masking sounds. The most popular kinds are the ones that have white noise that simply sounds like air. But you can buy models that will allow you to customize the white noise sounds. These are frequencies that sound like rain, the ticking of a clock or of a hair dryer on low speed. Some of them will also produce sounds like a rain storm, or like the sounds of wind chimes moving in a breeze. These machines are great for people who work odd hours or have jobs that require them to work third shift. Whenever insomnia hits, many people will automatically take a prescription medication to help them get to sleep. Other people, however, want something that’s more natural that won’t have any lingering side effects. One of these more natural treatments is the use of melatonin. Melatonin is a hormone that’s produced by your body. The location for the production of this hormone is found in the pineal gland - a tiny gland that rests at the base of your brain. It works like a natural alarm clock. What this hormone does is it helps regulate your sleep and awake times. Everyone has this hormone. When it’s working right, it kicks in and starts a series of changes within your body in preparation for sleep. The first thing that it does is to drop your body temperature. Not by a lot, but enough to make you feel tired. 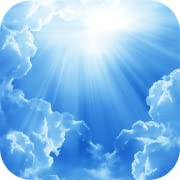 When your body temperature drops, your body - as well as your brain - begins the shift from awake mode to sleep. As this shift begins to take place, you’ll start to get drowsy and then you’ll drift off to sleep. That’s the way that your body’s natural production of melatonin is supposed to work. However, as you grow older, your body produces less of this hormone. Many people think that this step begins in middle age of 40 and over. But the loss of melatonin actually starts once you reach the age of thirty. Once you reach the point where there’s less of this hormone being produced, your body will then experience trouble trying to regulate your sleep cycle. You won’t have the same restful nights that you once did. You’ll find that it’s more difficult to fall asleep and when you do get to sleep, you wake suddenly for no reason. 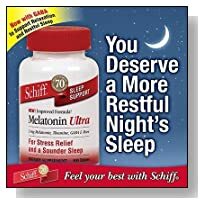 People who have too much melatonin are often excessively sleepy, which can lead to insomnia because they sleep so much, it creates a cycle of oversleeping, then not being able to sleep. You can find melatonin in the health food or natural remedies section of your grocery store. You can also find it through online shops. The amount of the supplement that you’ll need to take will depend on the brand that you buy. It can take a few weeks for melatonin to build back up in your body so that you gain the benefit from it. When it does, you’ll get your sleep cycle restored. However, in the meantime, there are some other things that you can do to help find relief from the insomnia. 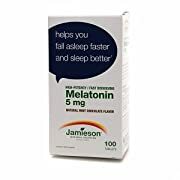 Sleep Fast Melatonin Spray Blend With B6, Valerian Root, Chamomile, Lemon Balm and 5-HTP for Natural Calming - 32 Night Supply (25ml) - Works Faster than Sleeping Pills - Fights Jet Lag. Insomnia's Worst Nightmare! 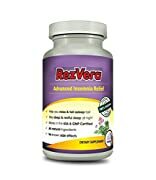 100% All Natural Sleep Aid, Advanced Insomnia Relief Supplement. 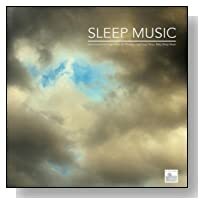 Helps You Relax & Enjoy Deep, Restful Sleep All Night! When you’re tossing and turning in bed, it can cause you to feel a sense of frustration at the thought of losing even more sleep because of your insomnia. There is something that’s easy, inexpensive - and studies have shown that it’s effective at helping relieve insomnia – aromatherapy. Aromatherapy is basically just treatment for a condition using the way a body draws in scent to create a behavioral change. There are certain scents that we associate with specific activities or times of the year. For example, the smell of wood smoke might immediately make you think about the fall or winter months sitting in front of the fireplace. We associate scent with a lot of good things in our lives. Scent is a powerful tool that can be used to break the cycle of insomnia and help get you on the road to resting the way that you need to sleep. The way that aromatherapy works is that it can set up the conditions that bring your body to its sleep cycle. The scents that you use in aromatherapy will be oils that are known to produce a calming, drowsy effect on the body. When you use aromatherapy to help prepare your body to sleep, through the use of the scents, your brain begins to release the triggers that it’s time for you to go to sleep. 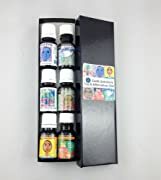 There are a ton of different scents on the market that you can use in an aromatherapy treatment. However, not all of them are good to help you get to sleep. In fact, some of them have stimulating properties and will actually do the opposite of what you want to accomplish. There is one scent, however, that’s well known for producing a calming, drowsy effect. That scent is lavender. This scent contains sleep-inducing properties that can help you. Lavender is a shrub and its flowers are used for the making of the essential oil used in aromatherapy. 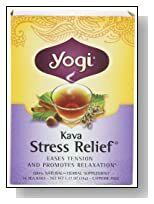 It’s known to help with the treatment of anxiety and stress, so if you have insomnia that’s caused by worries, this is a great treatment for you to choose. 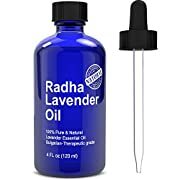 Besides being in the essential oil form, you can get lavender in bath soaps, lotions, and in tea. The scent can be used by inhaling it once it’s diluted with water. You can simply put some drops into a pot of boiling water. It’s the vapors from the hot water that you inhale that helps. 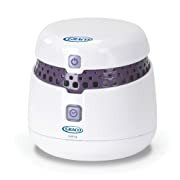 What some people do is buy diffusers to use with lavender essential oil. These are inexpensive containers that will mist the scent into the air. These containers are especially helpful if you place them in your bedroom and let them release fragrance into the air about twenty minutes before you go to sleep. 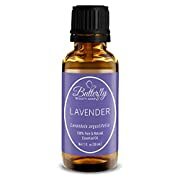 Lavender Essential Oil by Butterfly Beauty Shop (30 mL): 100% Pure, Natural & Undiluted Lavandula Angustifolia. Sleep Better & Lower Anxiety. Tips & Uses Brochure Included With Each Order. When you start to fall asleep, your body is supposed to lower your temperature. But in many cases, this doesn’t happen. That’s one of the first steps to the natural rhythm that your body is supposed to undergo. When it doesn’t, everything gets out of rhythm. Your sleep cycle then begins the first stage where it’s heading toward sleep loss and the possibility of insomnia. There can be several reasons for this out of rhythm failure. It can be tied to your body not producing enough melatonin. That’s usually one of the first things that your doctor might mention if you tell him you’re having trouble sleeping. But this failure can also be linked to hormonal changes, like the ones that are found when menopause occurs. Poor temperature control can also be linked to medical conditions that impact your adrenals, your thyroid, or your autonomic system. But regardless of what’s causing your temperature control problem, the end result is the same for you. Poor temperature control means that you end up not being able to sleep. This can lead to insomnia. Thankfully, however, there are some things that you can do to help fix this. 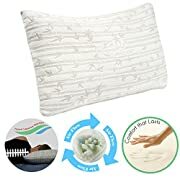 You can get a temperature control pillow. Reducing your temperature will make you feel drowsy enough to fall asleep. An example can be found by what happens to your body after you take a bath. No matter how warm your bath water is, when it’s over, you feel sleepy. That’s because not only does a warm bath relax you, but it lowers your temperature. That might not seem feasible since the water is warm. But what happens is that when you step out of the bath, your body temperature immediately starts to drop. So you feel sleepy right away. 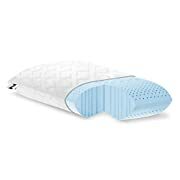 When you use a temperature control pillow, the pillow will respond to your body by lowering the temperature within the pillow. This lowers your body temperature. 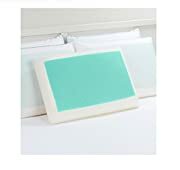 These pillows are also called temperature adjusting pillows and temperature regulating pillows. Many of them contain gel inside the pillow. The gel can react to your body by telling when it needs to cool you down. So the gel will actually grow colder. 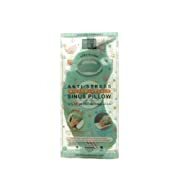 The majority of these pillows are also hyper-allergenic and can be machine washed. 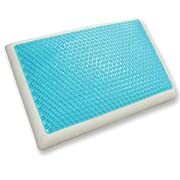 Gel'O Cool Pillow Mat 11 x 22" - soft, odorless, no water filling! Besides a lack of melatonin, one of the top reasons that insomnia occurs is because of stress. Stress can create feelings of anxiousness, fear and anger. It can leave you worried about what’s going to happen the next day when you have to get up. It can also make you wonder about your future. There are known stressors. You know when something has happened that causes you to feel stressed. Things can go on at work that make you feel like you just can’t handle one more issue. Driving home from work, and dealing with the people who don’t act right during the commute can raise your stress levels. At home, dealing the things that go wrong - such as repairs - can stress you out. So can a disagreement with your significant other. Finding out that your child has to have something for school the next day and you’re just now finding out about it can cause you stress. Most people understand these kinds of stressors. Though they can cause some unrest and maybe make you lose a night of sleep, they’re not usually linked to long term stress that can cause insomnia. However, what a lot of people do have that they may not even realize is stress that’s not 100% in their conscious mind. This can be a lingering ache from a car accident that happened years ago. An area of your body can have some pain still associated with that. The pain bothers you and causes you stress because it’s linked to that past trauma. When you experience a stress, you carry that stress in your body. Whether it’s at the forefront of your mind or not, as you try to drift off to sleep, your body will experience the feelings from that stress. You might not even be able to put your finger on the why of it all. 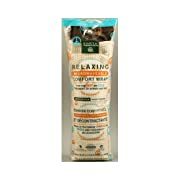 But anti-stress comfort wraps can help. You have to get the tension released from your body before you begin to try and fall asleep. 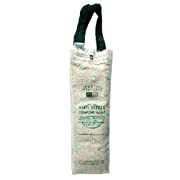 A comfort wrap is a simple terry cloth covered wrap with filling in it that you warm up. You can usually warm these in the microwave. What most people do is to place the wrap at the back of their neck or across a shoulder, alternating sides about half an hour before bed. The wrap helps relieve the tension and stress that’s within your body. These wraps are relatively inexpensive. You can usually find a good one for twenty dollars or less. 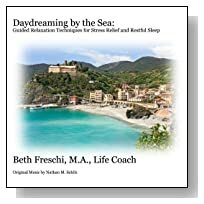 Below here I'm featuring more pages with helpful how-to-do-it sleep aid tips on this subject of sleep stress management. Does Your Sleep Attack Without Warning? Will a Sleep Diary Give You Answers? When Good Limbs Go Bad - Restless Legs? 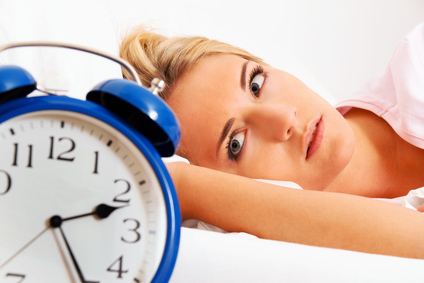 Many people suffer from sleeplessness but what is insomnia? 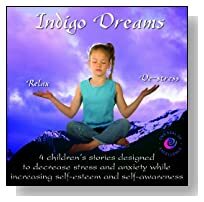 Back to HOME PAGE of this sleep stress management section of the site.